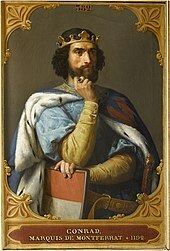 On April 28, 1192, the Christian King of Jerusalem, Conrad of Montferrat (aka Conrad I) was murdered by an Islamic organization called the Order of Assassins, or the Hashshashins. A nobleman from Northern Italy, Conrad was one of the chief architects of the Third Crusade (1189-1192) and had only served as King in Jerusalem for mere days before being assassinated. Conrad was murdered while walking back to his home from a visit to Bishop Phillip of Dreux, Bishop of Beauvais, stabbed in the back and side by 2 assassins even though Conrad was accompanied by bodyguards. Those body guards killed one of the assassins and captured the other, not surprisingly torturing the surviving murderer to learn of who had put the hit team up to the murder. Under torture, the assassin named King Richard I of England, who was the benefactor of King Guy of Jerusalem, Conrad’s predecessor whom Conrad had usurped while Guy was held captive by the “Saracen” Saladin. (Saracen was a term used by Christians that evolved as a catch-all moniker of Muslims fighting against the Crusaders.) When Guy was released by Saladin, he returned to reclaim his throne in Jerusalem but was foiled by Conrad’s refusal to step aside. The Assassins were an Islamic sect of mostly unknown origin, probably formed in what is now Iran in the 11th Century about the time of or just before the First Crusade. The Assassins were followers of Hassan-i Sabbah (c.1050-1124), the order’s first Grandmaster. Sabbah was apparently a popular and charismatic religious leader that had fairly widespread support throughout much of the Islamic world, especially among the Shia branch of Islam. The Assassins were formed to further the desires of Sabbah and enforce his agenda, while taking vengeance against enemies of Sabbah. It is the revenge aspect of the Assassins that we remember best today, and the very name of the Order has come to mean murderer. Sabbah and his Assassins fought against the Crusader Christians in a subtle, covert fashion, “assassinating” Christian leaders, both lay and clerical, throughout the Middle East. Politicians and Generals could not be safe anywhere, though the Assassins generally did not bother with or harm regular Christian people. Intended victims of the Assassins were not limited to Christians, as the Order also targeted Islamic enemies of the Ismaili branch of Islam that their Order adhered to. Much like the fictional James Bond style of modern assassin, the Assassins were cold and calculating, patiently stalking their victims before striking. The Assassins were expected to be literate and intelligent enough to learn the language and ways of their victims to better facilitate their murderous operations. The psychological effect of the assassinations was such that many murders not perpetrated by the sect were attributed to the Assassins. The Order of Assassins also played a more traditional military role and was finally obliterated by the Mongol Invasion of 13th Century, which weakened the sect enough that other Islamic sects were able to defeat the remaining Assassin strongholds. 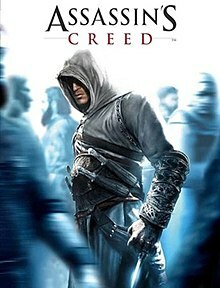 This is the cover art for Assassin’s Creed. The cover art copyright is believed to belong to Ubisoft. What other video games, role playing games, movies and books are you aware of that reference the Order of the Assassins? Please share your favorite cultural references with our other readers. 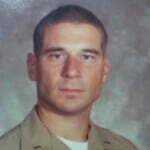 Hodgson, Marshall. The Secret Order of Assassins: The Struggle of the Early Nizari Ismai’lis Against the Islamic World. University of Pennsylvania Press, 2005. Wilson, Colin. Order of Assassins: The Psychology of Murder. Diversion Books, 2015.